The B.C. 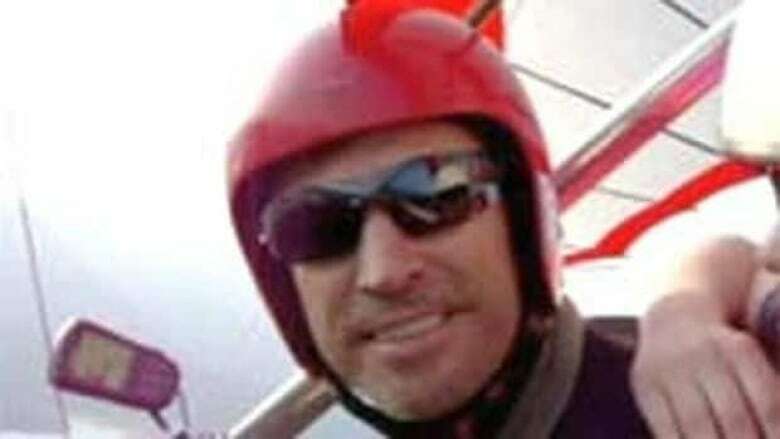 hang-glider pilot whose passenger fell off his aircraft to her death Saturday will remain in custody after a bail hearing Wednesday was postponed and police revealed a camera memory card he allegedly swallowed is still in his body. William Jonathan Orders remains in custody as police await possible evidence they say he swallowed. The B.C. hang-glider pilot whose passenger fell from his aircraft to her death Saturday will remain in custody after a bail hearing Wednesday was postponed and police revealed a memory card he allegedly swallowed is still in his body. Could the memory card survive? If, as police allege, William Orders swallowed a memory card, there's a good chance any video will survive intact if the card is recovered. Flash memory cards are "solid state," meaning that unlike a relatively delicate hard drive, they have no mechanical parts and so are notoriously durable. In tests, they've been dunked in coffee and Gatorade, put through a washing machine, frozen in a block of ice, boiled, run over by a skateboard and smothered in peanut butter — with no effect on the data. At the extreme end, files on several camera cards that were smashed with a sledgehammer or nailed to a tree were still recoverable. Compact flash cards have endured the explosive demolition of a Missouri bridge and even the destruction of the World Trade Center on 9/11. So, with Orders in custody, it's a waiting game to see when the card he is alleged to have swallowed might turn up. William Jonathan Orders is charged with obstruction of justice after allegedly swallowing the card believed to contain a video recording of the fatal flight. Orders, 50, is scheduled to appear again in provincial court in Chilliwack Friday. Witnesses said that passenger Lenami Godinez, 27, fell 300 metres to her death about 30 seconds into a tandem hang-glider flight with Orders near Mount Woodside in the Fraser Valley east of Vancouver. Police said they believe the memory card is still inside Orders' digestive system. "There's been a series of X-rays taken, we have confirmed [the memory card] is inside him, so we're just kind of in the waiting process," RCMP Cpl. Tammy Hollingsworth said Wednesday. Hollingsworth said the X-rays were taken at Chilliwack General Hospital and Orders is being constantly monitored. "What's important here is, it's about the family, it's about the family getting answers," Hollingsworth said. "Our investigators are working very hard. These people have lost a daughter very tragically." Also on Wednesday, the Hang Gliding & Paragliding Association of Canada said it had temporarily suspended Orders' licence. A previous version of this story contained a photograph incorrectly and inadvertently identified as that of William Jonathan Orders. The photograph has been removed. Does hang-gliding need to be regulated?